Hello everyone and Happy Tuesday! Today I would like to talk to you about our Official store locations! We have quite a few and I wanted to share them with you today. Everything that we have available at our main stores you can get at the satellite locations, plus there are markets to browse around as well. We currently have five Horse satellite stores, four K-9 satellite stores, five Bird/Duck satellite stores and four Ponie satellite stores. 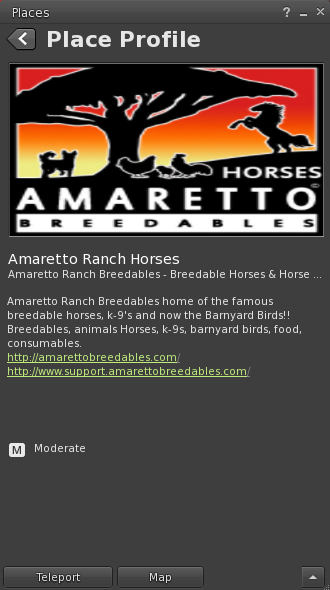 A few of these offer all of Amaretto’s breedables in one location. Once at the locations page you will see the list of locations! 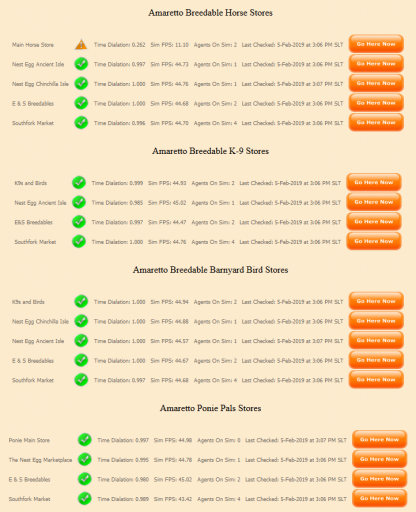 To visit a location you simply click the Go Here Now orange button. 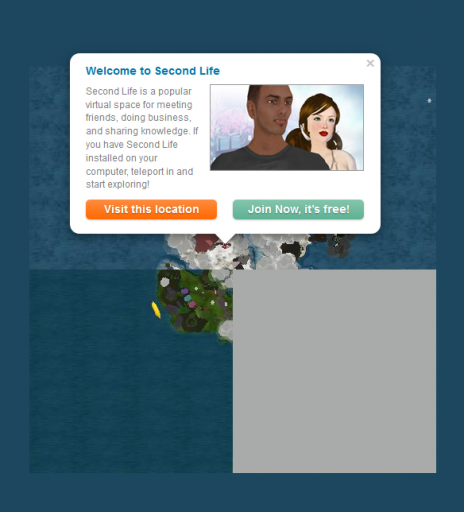 Once you click that button you will be directed to a Second Life Maps webpage that looks like the picture below. 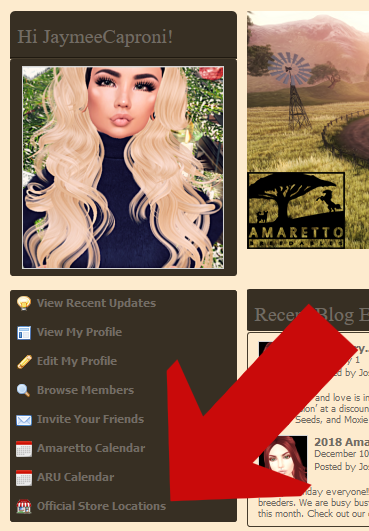 On thispage you will click the Visit This Location orange button. 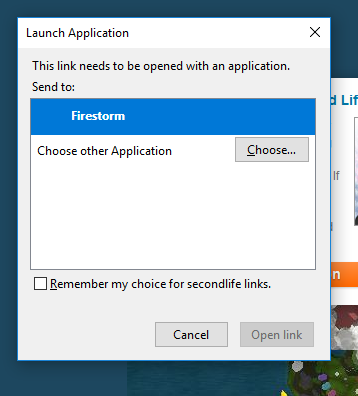 You will now receive the prompt below that says Launch Application. Choose the Second Life viewer you are using and click Open Link. After following these steps you can return to your Second Life viewer and you will see a Place Profile on your screen that looks like the one below. You can click Teleport and you will be teleported to the store location you chose. I hope this help you find one of our many locations! Each one designed to fit all your breedable needs!